CCP Explorer has stated that the first ever client patch has been added without the need for downtime and a server reboot. 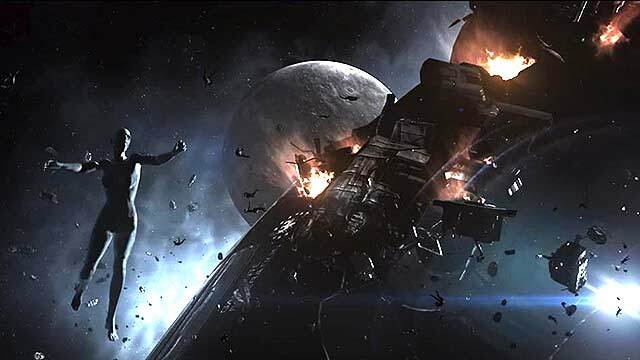 CCP, many years ago, had stated that they ultimately aim to eliminate downtime and the pesky advantages or disadvantages it renders, Explorer explains that this is a client side patch rather than a server one meaning for a brief period of time, there were multiple versions of Eve running simultaneously on Tranquillity. Currently, downtime serves to install patches, both client and server side however the main focus of it is to remove excess cans/wrecks/grids from space that cause unnecessary server load. Downtime has however been responsible for the ending of battles, saving of capitals, and other preventions of damages that otherwise would have been suffered had the server not gone down. Explorer goes on to explain over Twitter how this is a big step in the eventual removal of downtime all together and explains how the new system will allow for CCP to have a more effective and rapid response to technical emergencies and an overall more fluid updating system. Will you be happy to see downtime go? Or will your supers no longer be safe? One thing is for certain: Aussies everywhere shall rejoice. This web site is my inspiration , rattling wonderful design and style and perfect subject matter. Great post, you have pointed out some great points, I as well conceive this s a very wonderful website. Thanks , I’ve recently been looking for information approximately this topic for a long time and yours is the best I’ve discovered so far. But, what in regards to the conclusion? Are you positive concerning the source? Have you ever thought about publishing an ebook or guest authoring on other sites? I have a blog based on the same topics you discuss and would love to have you share some stories/information. I know my visitors would enjoy your work. If you are even remotely interested, feel free to shoot me an e mail. Hello there! I simply would like to offer you a big thumbs up for the excellent information you have got right here on this post. I’ll be coming back to your website for more soon. You actually make it appear really easy together with your presentation but I find this topic to be actually one thing which I think I’d by no means understand. It seems too complicated and extremely wide for me. I’m taking a look forward to your next put up, I will attempt to get the hold of it! Thank you for the auspicious writeup. It in reality used to be a entertainment account it. Look complicated to more introduced agreeable from you! By the way, how could we communicate? When someone writes an paragraph he/she retains the plan of auser in his/her brain that how a user can be aware of it.Therefore that’s why this post is great. Thanks! Great ?V I should definitely pronounce, impressed with your site. I had no trouble navigating through all the tabs as well as related information ended up being truly simple to do to access. I recently found what I hoped for before you know it at all. Reasonably unusual. Is likely to appreciate it for those who add forums or anything, web site theme . a tones way for your customer to communicate. Nice task.. I have read a few good stuff here. Definitely worth bookmarking for revisiting. I wonder how so much attempt you place to make one of these great informative web site. Hello there. I found your website by means of Google at the same time as searching for a related matter, your web site got here up. It appears good. I have bookmarked it in my google bookmarks to visit then. I¡¦ve been exploring for a little for any high quality articles or weblog posts in this sort of house . Exploring in Yahoo I eventually stumbled upon this site. Reading this info So i am satisfied to convey that I have a very good uncanny feeling I discovered just what I needed. I such a lot definitely will make certain to do not disregard this website and give it a glance regularly.